Dessert is my favourite meal of the day. Okay, so maybe not every day, but it sure does happen often. I am a self confessed chocoholic and love experimenting with new recipes to keep my sweet tooth happy. 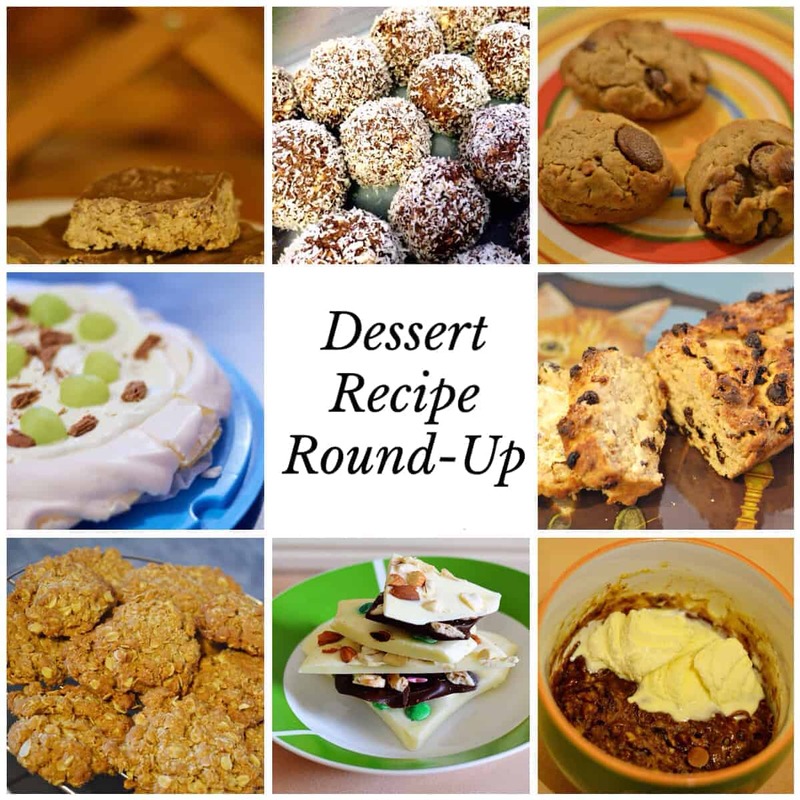 Luckily I’ve shared a few of these yummy recipes over the past year so to make it easier, I thought I would put together a dessert recipes round-up for you all. Please excuse my poor food photography. I could never be a food blogger. But each of these desserts taste so good, so appearances certainly aren’t everything! Trust me. Just like mum used to make. Takes about 10 minutes to prepare then bake, ice and let it set for a yummy slice treat. Looking for a slightly lighter option for your next brownie craving? This recipe uses coconut oil instead of butter. The end result is delicious! Popular come ANZAC day but a yummy snack all year round. So easy even the kids can help you make them. An Easter recipe, or any time of the year really. The subtle peanut butter flavour just makes them extra awesome. This one is a variation my mum came up with combining these two popular chocolates into a slice. I was skeptical but then it was amazing! An Aussie favourite, the pavlova is my go to dessert for entertaining and for making my dad happy for his birthday every year. This recipe is so easy and very popular. Peanut butter has been such a food trend in the past couple of years (right up there with salted caramel) and these cookies taste great. Oh yeah… mug cookies are the best. Serve this one up with a dollop of ice cream and it’s the perfect quickie dessert option when you have nothing else in the house and need a sweet fix. This is another family favourite which sounds a little bizarre and is not your typically sweet dessert, however it still goes down nicely for a morning tea or afternoon tea sweet fix. Super easy to make and you can add anything you want to make your perfect chocolate treat. A christmas favourite but there’s no reason why you can’t bring a bit of Christmas to your life all year round with some tasty treats. Hope you enjoy these sweet treat recipes as much as we do. No doubt there will be new ones to share soon. It’s only fair that I share the love a little! There’s so much deliciousness here, I don’t really know where to start, maybe with the Turkish Delight and Cherry Ripe Slice. That sounds just too good to resist! Oh wow yum!!! You really are the dessert queen. These all look great!! Thank so much for linking up with our Fabulous Foodie Fridays party! I love a good anzac biccie. They are dangerous in our house. Ooh they look just a bit naughty…but Yummy!